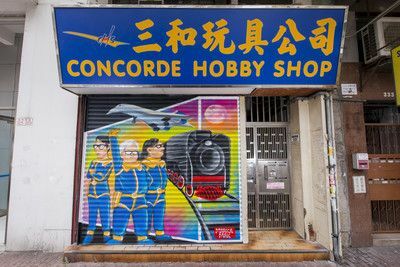 HONG KONG, Feb 8, 2018 - (Media OutReach) - March is the best time to explore Hong Kong in an artsy way. From the entire month of March this year, Hong Kong's flourishing arts scene will come to fruition with an inspirational spectrum of arts events planned in various neighbourhoods across the city. With events ranging from world-class art happenings downtown and performing arts programmes from around the world, to unique and exciting arts offerings in local communities, there is something to suit all tastes during the "Hong Kong Arts Month". In particular, the following highlighted international events and community programmes are not to be missed during your upcoming artsy trip to Hong Kong in March. The Hong Kong Arts Festival (HKAF) will be the premier event to kick-off the "Hong Kong Arts Month". Starting 23 February, the 46th HKAF will feature over 1,700 international and local artists in 130 performances until 24 March. This year's highlights include Whipped Cream, by the American Ballet Theatre, The Curious Incident of the Dog in the Night-Time, by the National Theatre of Great Britain, and Debussy's Pelleas et Melisande, staged by the legendary Welsh National Opera. 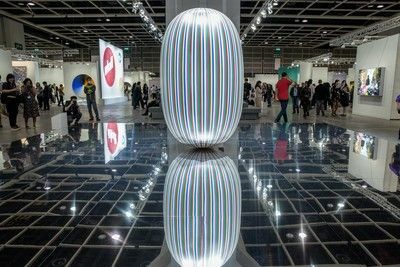 Another highlight is Art Central Hong Kong, which will be staged in the Central Harbourfront Event Space from 27 March to 1 April, with a VIP preview and inauguration event to be held on 26 March. The fourth edition will return with 30 galleries participating for the first time and over 100 international galleries, over 75% of which are from Asia-Pacific, making it the largest edition in scale by far. Art Central Hong Kong's dynamic week-long programme also includes interactive installations, performances and a panel discussion. Art Basel in Hong Kong, now in its sixth edition, will take place at the Hong Kong Convention and Exhibition Centre from 29 to 31 March. The world-famous international art fair will feature 248 leading galleries from 32 countries and territories, with 28 of them from Asia-Pacific, Europe and the Americas participating for the first time. Art Basel will offer an expansive view of its diverse arts vision, historical materials and cutting-edge works by established and emerging artists.